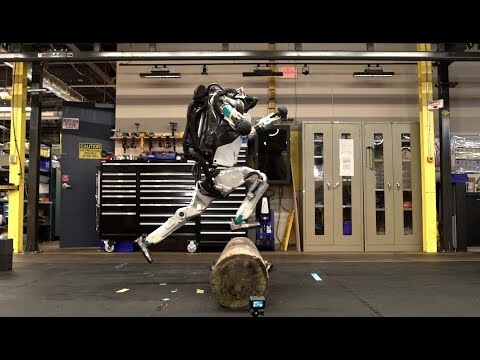 Atlas is the most agile humanoid in existence. 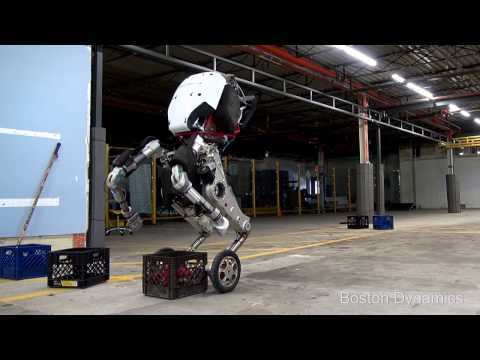 It uses whole-body skills to move quickly and balance dynamically. 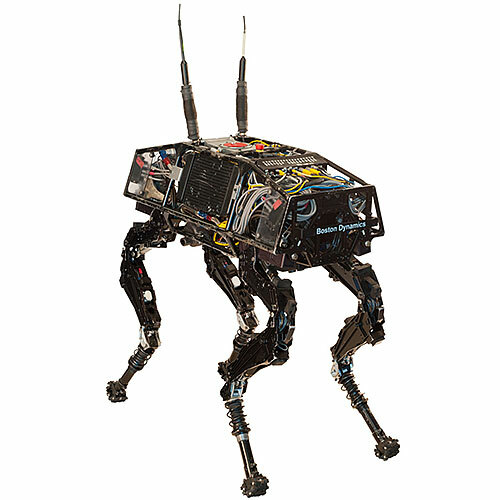 It can lift and carry objects like boxes and crates, but its favorite tricks are running, jumping, and doing backflips. Atlas is ready for a day's work. 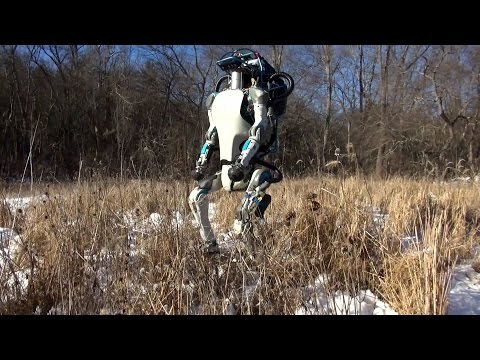 Atlas goes for a walk. 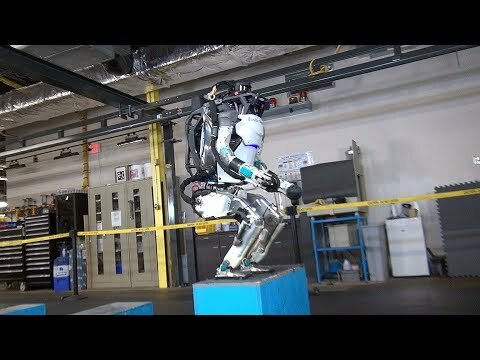 Atlas jumps and does a backflip. 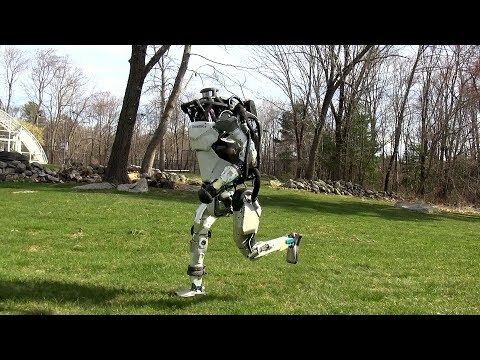 Atlas goes for a jog in the park. Atlas walks on snow, moves boxes, and gets up after a shove. 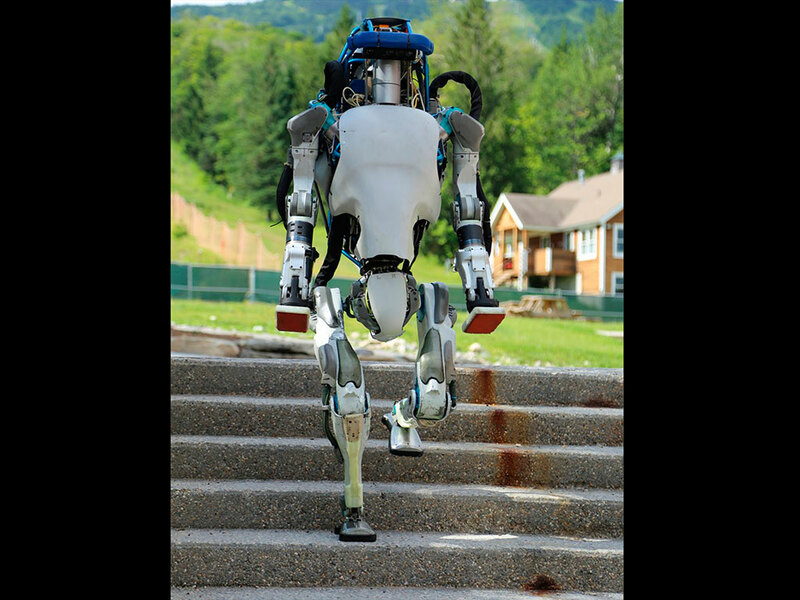 Handle is an Atlas with wheels instead of feet. 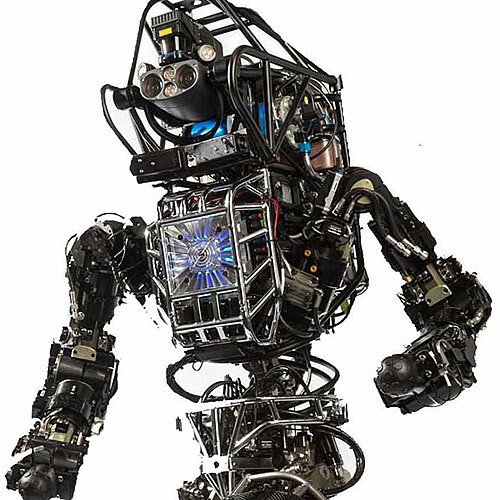 Atlas can keep its balance when jostled or pushed, and it is capable of getting up if it falls over. 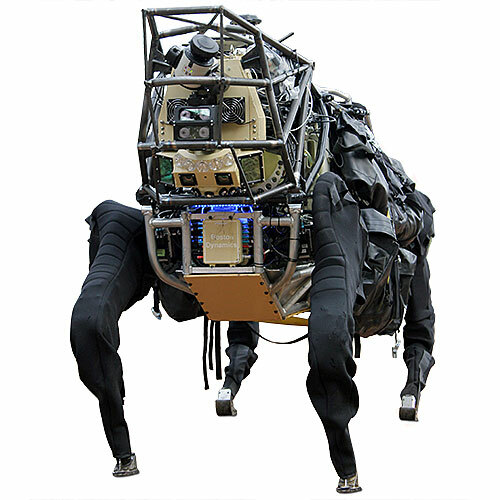 The "next-gen" Atlas is a massively upgraded version of the original Atlas that Boston Dynamics developed for the DARPA Robotics Challenge. 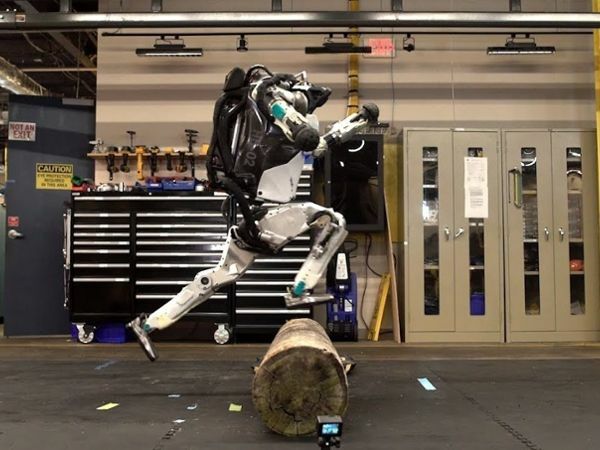 Boston Dynamics is led by legendary roboticist Marc Raibert, who says their long-term goal is "to make robots that have mobility, dexterity, perception, and intelligence comparable to humans and animals, or perhaps exceeding them." 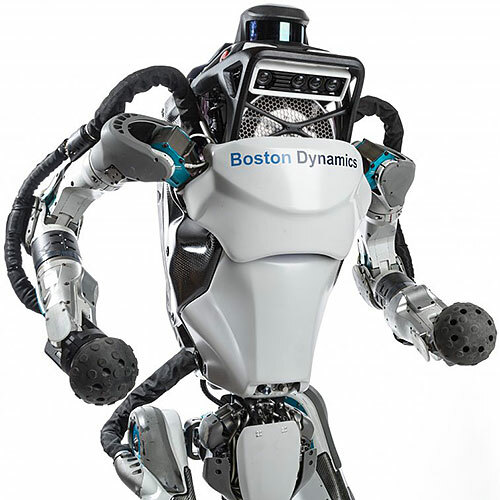 Google went on a robot shopping spree in 2013 and acquired Boston Dynamics. 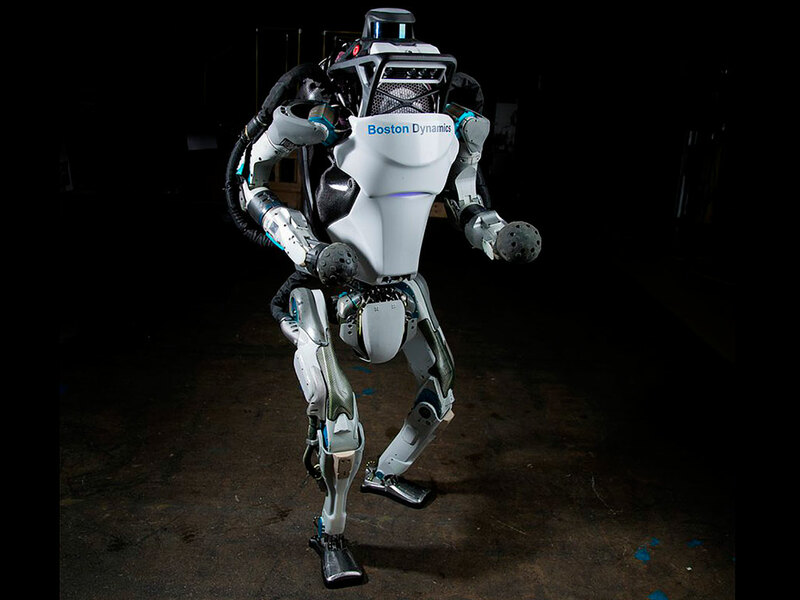 SoftBank went on a robot shopping spree in 2017 and acquired Boston Dynamics from Google. 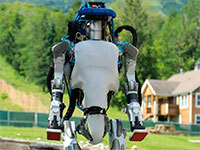 Designed to operate both outdoors and inside buildings. Whole-body dynamic stabilization. 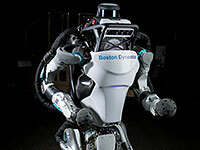 Able to sense obstacles and negotiate rough terrain autonomously or under teleoperation. Two-handed mobile manipulation. 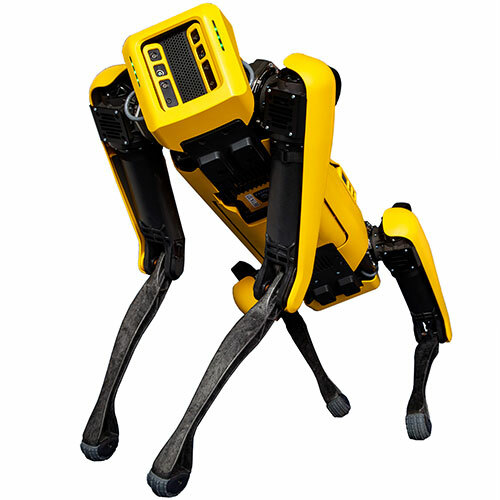 Electrically powered and hydraulically actuated. High strength-to-weight ratio and large workspace.